Martha Berry Digital Archive | Who Will Help Roxie Find Her Way To The Berry Schools? Who Will Help Roxie Find Her Way To The Berry Schools? 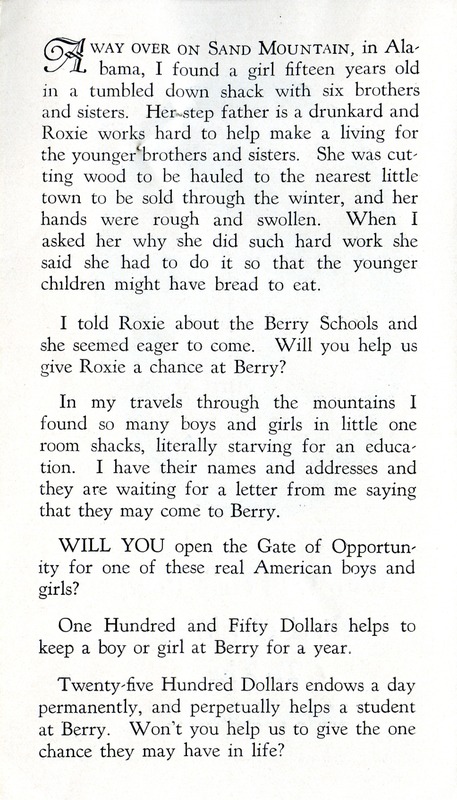 A flyer or pamphlet sent out asking for monetary donations to assist a girl, Roxie, attend the Berry Schools. Roxie lives in the country with her family, and works to provide her younger siblings with bread to eat. This is a response from Mrs. P.L. 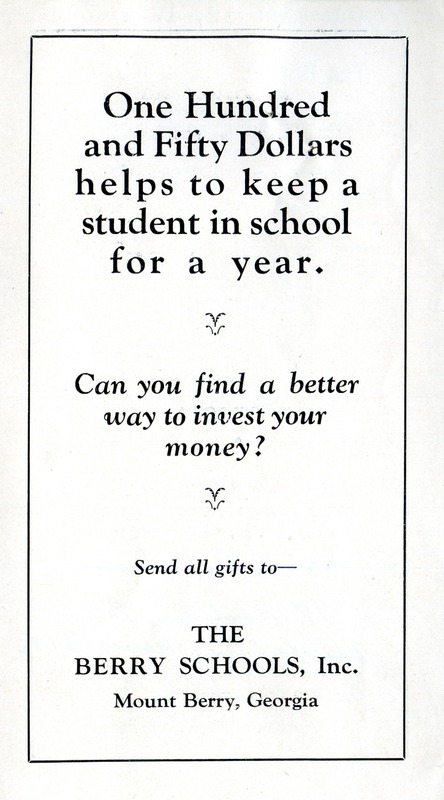 Le Brun for three hundred dollars, enough to keep two students in school for a year, according to the pamphlet. 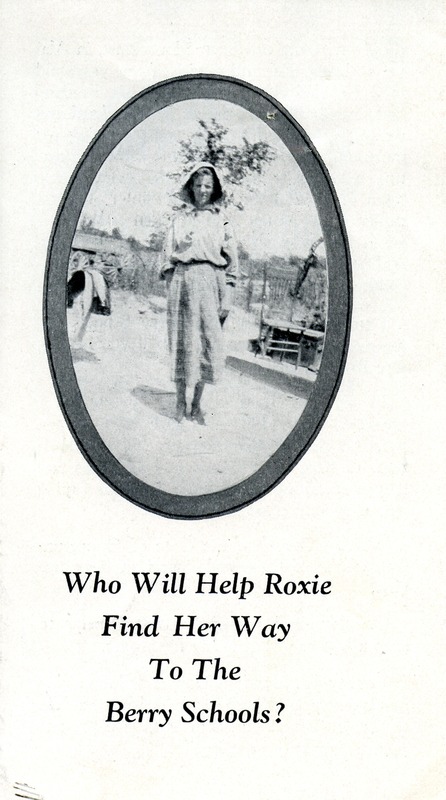 pamphlet, Roxie, The Berry Schools Inc. The Berry Schools, Inc., “Who Will Help Roxie Find Her Way To The Berry Schools?.” Martha Berry Digital Archive. Eds. Schlitz, Stephanie A., Morgan Brown, et al. 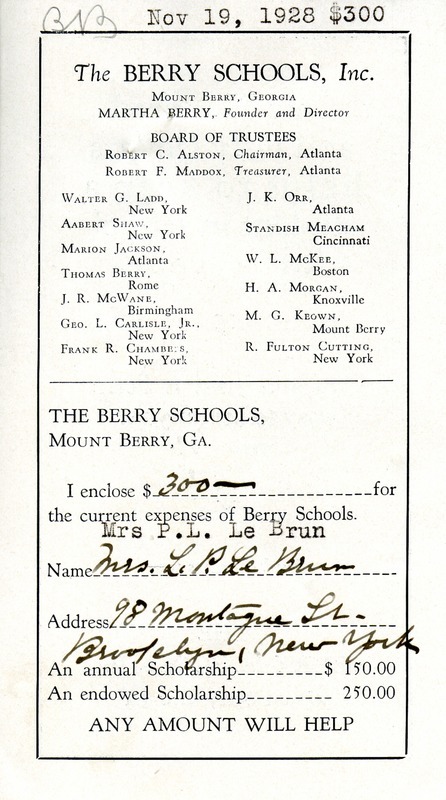 Mount Berry: Berry College, 2012. accessed April 20, 2019, https://mbda.berry.edu/items/show/8228.